Recently, around 6,500 corporate and government security technology experts and researchers from all over the world joined together to participate at the Black Hat 2012 conference in Las Vegas. In one of the many sessions that took place at the conference, Googleâ€™s own Android security software; named â€œBouncerâ€ (used to remove and keep malicious applications out of the Play Store) was exposed, revealing a security hole that could allow developers to evade Googleâ€™s â€œBouncerâ€ technology. An example the researchers that revealed this hole used was to take control of a phone with a malicious app, forcing it to download code from a third-party source to further take control of the infected phone with it potentially accessing the device’s root filesystem. Furthermore, researcher Charlie Miller from Accuvant revealed a method that allowed malicious code to be delivered through the NFC (Near-Field Communications) chip found in many Android phones today. A device the size of a postage stamp could be placed on a cash register, infecting anyoneâ€™s NFC-capable phones that are detected nearby without them even knowing. 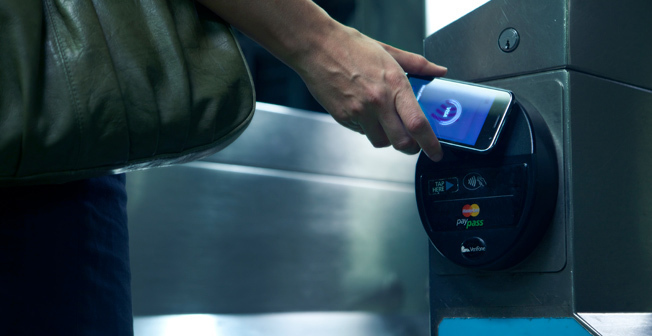 Applications that solely depend on the NFC protocol, like Google Wallet on Nexus-branded phones in the US could potentially be exploited using this hole to send credit card information to the hacker. An image of Charlie Miller from Black Hat 2012 demonstrating how easily an “NFC sticker” can be used to send malicious code to the victim’s NFC-enabled device.